Is this Apple's new iWatch? Apple was granted a patent for a smartwatch Tuesday, lending credence to rumors that the company will unveil a new "iWatch" this fall. In the patent filing, Apple (AAPL) revealed a square smartwatch design, but it didn't disclose too many more details about the iWatch. Most of what the company revealed shows that the device may have many of the same features as its competitors' smartwatches -- a touchscreen, an accelerometer, a GPS receiver, Bluetooth, and alerts via vibration. The iWatch connects to a mobile device, displays notifications and allows users to accept or decline phone calls. If there's anything unusual about Apple's filing, it's that the iWatch can be used apart from a smartphone. You can store music and video on the smartwatch itself and play it back directly from the watch. You can even plug a set of headphones directly into the watch via a socket on the upper left corner. Apple said the iWatch might respond to specific movements from its wearer. For instance, Apple said a user might shake, bounce or tap his or her wrist to accept or decline a notification or phone call. The company said the watch could receive text messages, social network posts or news alerts, but it's unclear if users can send messages from the watch. Apple also didn't say if the watch would let users make phone calls. 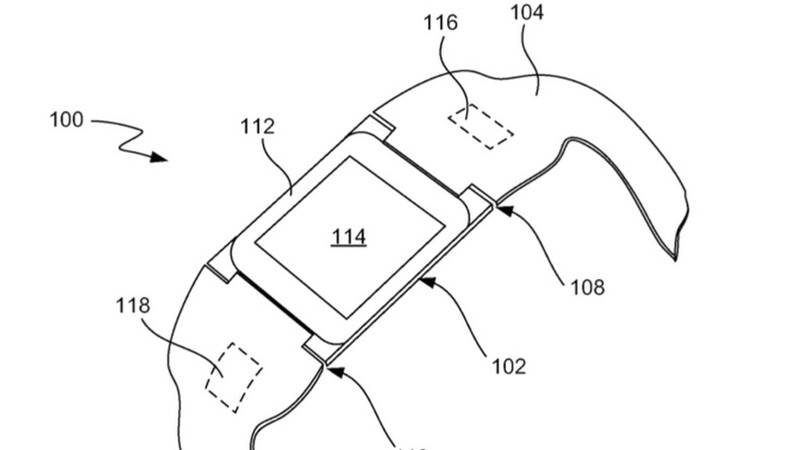 It's also unknown what the watch will be made of, though Apple said the band would be made of a non-metal material. Rubber, silicone, plastic, Mylar and vinyl were cited as possibilities. Though the patent gives the world a glimpse at Apple's smartwatch ideas, it is not necessarily reflective of a final product that will hit store shelves. Though many Apple patents look exactly like the finished products that it sells to customers, Apple notoriously patents many technologies that are dramatically different from the ones that it ultimately brings to market. Some never even see the light of day. Apple has long been rumored to be releasing an iWatch. Chatter about an Apple smartwatch intensified after Nike (NKE) pulled the plug on its Fuelband fitness device earlier this year. Apple and Nike have partnered on technology for runners since 2006. 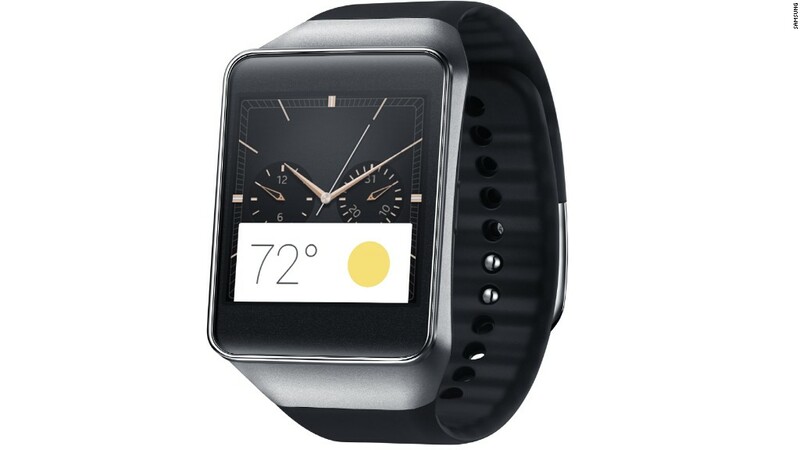 Over the past year, many of its competitors have brought smartwatches to market, most notably Samsung's (SSNLF) Galaxy Gear. Google (GOOGL) has also developed its Android Wear software for smartwatches, which has appeared on LG's G Watch, Samsung's Gear Live watch and will soon run on Motorola's Moto 360 watch. New smartwatch: Cool? Yes. Useful? Meh. Apple is set to report its quarterly financial results after the stock market closes Tuesday afternoon. Shares of Apple rose 1% in early trading and are up nearly 20% this year.